StackAdapt is taking center stage on Monday, April 29 at 9:30am. As part of the programmatic essentials buy-side workshops, StackAdapt CTO and Co-Founder, Yang Han will be sharing information and insights in his presentation: Are Your Campaigns Really Using AI? 10 Questions To Ask Your DSP. This workshop will take a deep dive into identifying true AI, debunking the myths around it, and how better AdTech can deliver real results. If you are attending Programmatic I/O we would love to meet you there. Complete the form and we’ll schedule a time to grab a coffee! 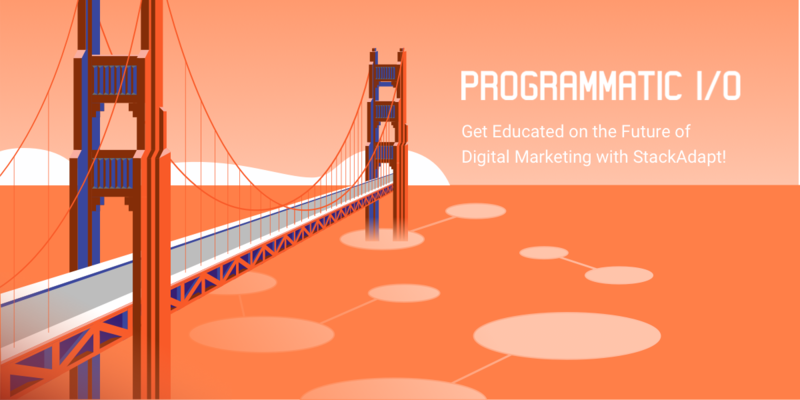 Let’s Meet at Programmatic I/O! Yes, I would like to receive communications from StackAdapt.